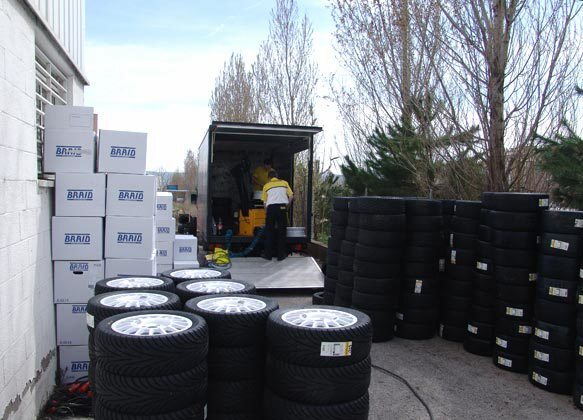 Every few months we place a stock order with BRAID's European factory which gives you the opportunity to order some custom specification wheels without having to pay the usual drop ship freight charges. Instead, these will be shipped UPS ground from our Michigan facilty potentially saving you hundreds of Dollars. This current stock order is scheduled to arrive here Labor Day but in order to guarantee that we need to place it with the factory during the first week of June so you'll have to let us know what you need pretty soon. Check out the wheels at braidusa.com or Team Illuminata Motsorsport and let us know if you have any questions or want to place an order. We look forward to taking care of your needs.